In the United States, there are currently four direct oral anticoagulants (DOACs). All four DOACs are approved for the treatment of venous thromboembolism (VTE) and nonvalvular atrial fibrillation (NVAF), among other indications.1-4 Despite differences in pharmacology, pharmacokinetics, and clinical trial efficacy and safety data, current guidelines do not prefer a specific DOAC. Given the lack of guideline-based recommendations for a particular DOAC, clinicians are frequently left without clear guidance of the most appropriate DOAC for a particular patient beyond the preferences of an insurance company or the availability of manufacturers’ coupons. After a careful analysis of the existing data, a very strong case can be made to make apixaban (Eliquis) the preferred DOAC for both VTE and NVAF. What is the role of DOACs versus warfarin in VTE and NVAF? 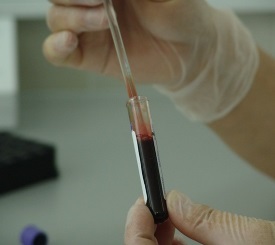 For the treatment of venous thromboembolism (VTE), the CHEST 2016 guidelines recommend any of the four DOACs over warfarin therapy for long-term anticoagulation therapy in patients without cancer (grade 2B).5 The guidelines do not specifically endorse any DOAC, although a table is provided that outlines factors that may influence the selection of a “preferred” anticoagulant. For example, patients wanting to avoid parenteral therapy may prefer rivaroxaban or apixaban because dabigatran and edoxaban require five to ten days of parenteral therapy prior to initiation. This entry was posted in Cardiology on November 1, 2016 by Sean P. Kane. The newest ACC/AHA ASCVD Pooled Cohort Equations has been a very hot topic lately. Our free web-based ASCVD tool and mobile applications have been very well received. A number of ClinCalc readers have asked for a better understanding of the Pooled Cohort Equations — how is an ASCVD calculated? How “strong” is each risk factor? To help clinicians understand the new Pooled Cohort Equations, we’ve released a fantastic new visualization and graphing tool. 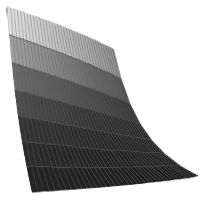 The tool is intended for the advanced clinician who wants to delve deeper into the equations and visualize the tool in a novel, interactive way. This entry was posted in Cardiology, ClinCalc News on December 15, 2013 by Sean P. Kane. 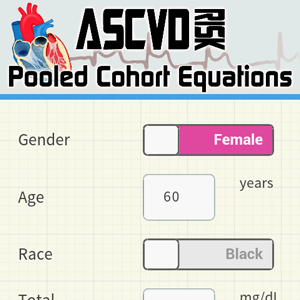 At ClinCalc, we’re very proud to announce the availability of both a web-based 10-year ASCVD Risk Calculator (also termed the Pooled Cohort Equations Calculator). This risk assessment tool is recommended by the newly published 2013 ACC/AHA cholesterol guidelines to estimate 10-year risk of atherosclerotic cardiovascular disease (ASCVD). This entry was posted in Cardiology, ClinCalc News on November 23, 2013 by Sean P. Kane. Recommend taking at least one antihypertensive medication at night. This simple, cost-effective intervention was recently shown in the MAPEC trial to modestly reduce cardiovascular events and mortality. This entry was posted in Cardiology, Landmark Trials, New Clinical Trials and tagged antihypertensives, hypertension, MAPEC on July 19, 2013 by Sean P. Kane. Amlodipine (Norvasc) is a great drug — but it takes 8 hours for the drug to reach its peak drug concentration, and about a week to reach steady-state full antihypertensive effect. This entry was posted in Cardiology, Clinical Pearls, Pharmacokinetics and tagged amlodipine, hypertension, norvasc on March 23, 2013 by Sean P. Kane. The ASPIRE trial, recently published in the NEJM, examined the role of aspirin after patients with VTE’s had completed at least 6 weeks of full anticoagulation (although most completed 6+ months). This is the sister trial to the WARFASA trial, which required 6-18 months of warfarin therapy. This entry was posted in Cardiology, New Clinical Trials and tagged ASPIRE, aspirin on November 5, 2012 by Sean P. Kane. This entry was posted in Cardiology, New Clinical Trials and tagged aspirin, WARFASA on May 25, 2012 by Sean P. Kane. Kane SP. Cardiology. ClinCalc: https://clincalc.com/blog/2012/05/warfasa-trial-aspirin-for-vte-prophylaxis/. Updated October 26, 2015. Accessed April 23, 2019.